Ho-ho-ho indeed! 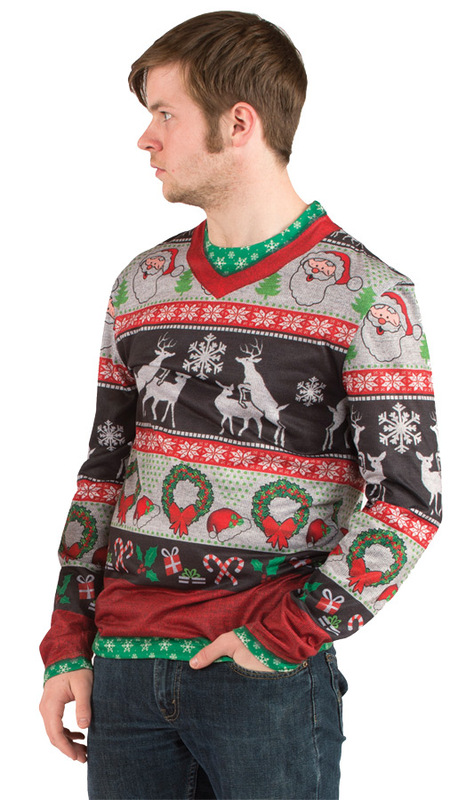 T-shirt with realistic print of sweater featuring reindeer getting a little frisky with each other. Perfect for that company Christmas party. Then again, maybe not! 100% polyester. Fits adult large sizes. Care Instructions: Turn garment inside out, machine wash cold on gentle cycle with like colors. Use non chlorine bleach only if necessary. Tumble dry low. Do not iron if decorated.